If you live somewhere that you have to go through Toll Roads you are going to want to get one of these. We have a couple choices and they will be perfect for your traveling needs. 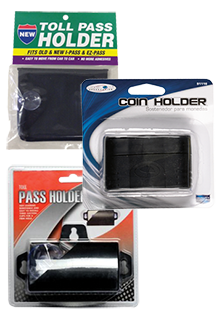 We also carry a nice coin holder for all your loose change. We have the lowest prices in the nation~GUARANTEED!